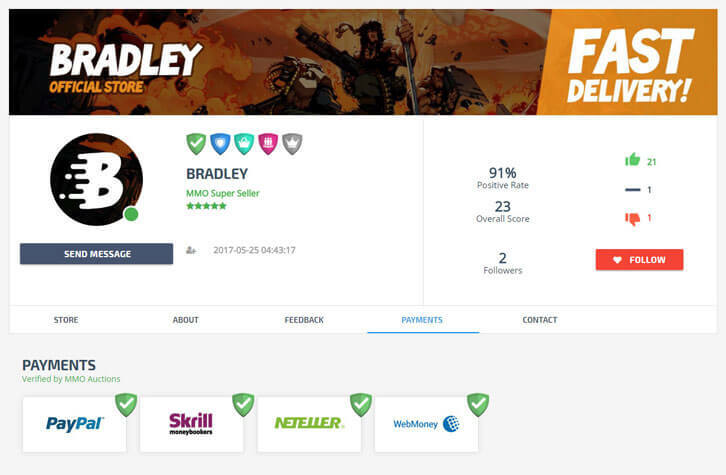 Rate this Article Have you always wanted to sell, for instance, your MMO game account, but are worried about getting scammed? Well, MMOAuction is here to help! I bet many of you had this problem: picked up an MMO, spent countless hours grinding and tons of money on virtual bling, but then all your friends move on to another game and you want to cash-in your account to squeeze at least some value out of it. Unfortunately, the only way to do this is by giving your details to some shady account trading website and lo and behold...your characters end up gathering dust in the depths of the interwebz. So, what makes a good trade website then? Security? Responsive design? Accessibility? Free listings? New Kickstarter project MMOAUCTIONS.COM seems to have it all, and the best is - It’s dedicated exclusively for gamers. This project has been in development for over two years but is only debuting on Kickstarter now. The team, consisting of twelve members at the moment, went through various concepts and design to finally come up with a product that, as they believe, will bring both online, offline and analog players together into one global gamer marketplace. So what do we know so far? One of the key features they have showcased on their Kickstarter page is a six-step verification process that will include phone, ID and bank verification to ensure no fake identities can make trades on the website. Furthermore, their system will block off any VPN, proxy, TOR, etc. users. 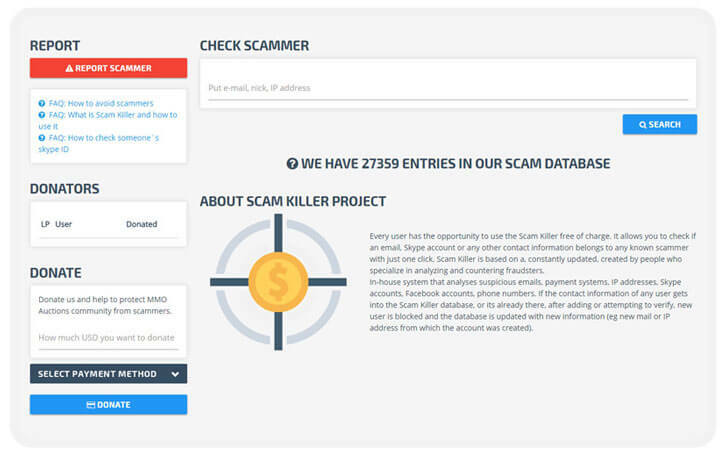 Since the early stages of development dev team has been working on something, they call Scamkiller, which is a massive database that gathers information from various websites, forums, Facebook groups and Discord channels, creating a huge registry of online fraudsters and it will be free to use by all MMOAUCTIONS.COM users. From what we have seen in the showcased video and the demo page, the design is very modern without excess flair and useless decorations. Instead, we have big visible buttons and very intuitive navigation making it very easy to manage your listings and look for products. Apart from usual gaming categories, you can also find sections dedicated to board and trading card games. One of the unique features is their mobile app, mmoauctions.com will probably be the first hobby trade website with a dedicated mobile app making it easy to buy, sell and exchange goods wherever you are. Apart from their advanced security, developers take pride in simplicity and speed of adding offers. It takes around a minute and once you have it ready you can re-list it or take it down with just one click. Additionally, we get a wide variety of convenient solutions like neat message system, phone, and e-mail notification, and category subscriptions, all to designed to make trading as painless as possible. Professional sellers and online shops can use mass listing and message tools to manage their sales effortlessly. Pledge rewards are also unique, apart from what we have already learned to expect: premium time and listing promotion, mmoauctions.com offers their backers uniquely designed profile pages which can be appealing both to regular users that like to stand out, but also online shops that want to make their profile on mmoauctions.com easily identifiable. So if you’re a gamer looking for a safe and well-designed online marketplace, you should turn your attention towards this Kickstarter project. The MMOAUCTION.COM Kickstarter campaign is very well laid out, and the development team is very success-oriented, so be sure not to miss it!